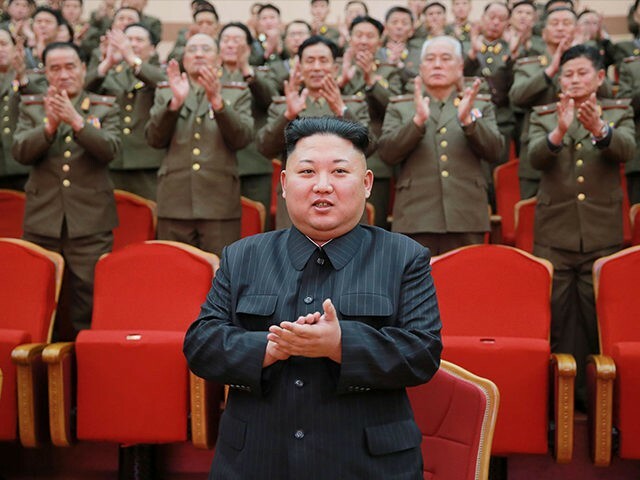 The Jerusalem Post reports: SEOUL – North Korea denied reports it had cooperated with Syria on chemical weapons, dismissing them as a fabrication by the United States to pressure the country, state media reported late Thursday. State run KCNA news agency cited a spokesman at the foreign ministry’s research institute of American studies arguing that the United States made a “nonsensical argument” that it helped Syria produce chemical weapons. “As we have clearly said several times, our republic does not develop, produce and stockpile chemical weapons and opposes chemical weapons themselves,” the spokesman said, via KCNA. Robert Wood, US disarmament ambassador to the Conference on Disarmament, said on Wednesday that there has been a history of a relationship between the two countries with regard to missile activity, chemical weapons components. Two North Korean shipments to a Syrian government agency responsible for the country’s chemical weapons program were intercepted in the past six months, according to a confidential UN report on North Korea sanctions violations.